A very popular gay bar with snacks on the beach-front, friendly staff and excellent atmosphere. 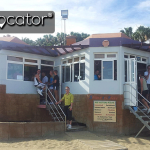 Located on the Maspalomas beach a short walk from the lighthouse. 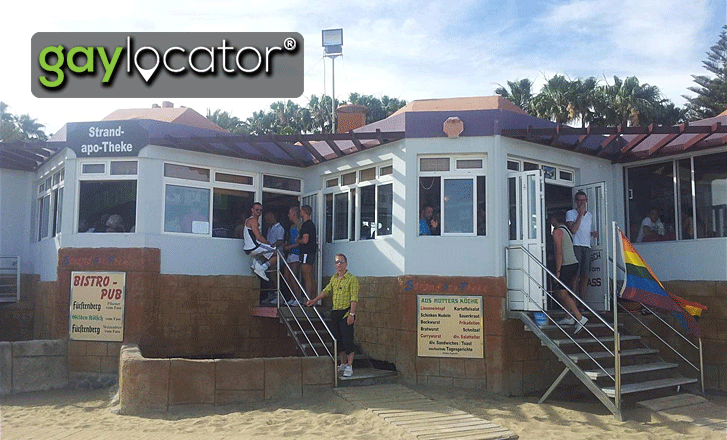 keywords: “Strand-apo-Theke”, “Gay Bar”, “Restaurant Gay”, “Gay Club”, “Gran Canaria”, “Maspalomas”, “Playa Del Ingles”.